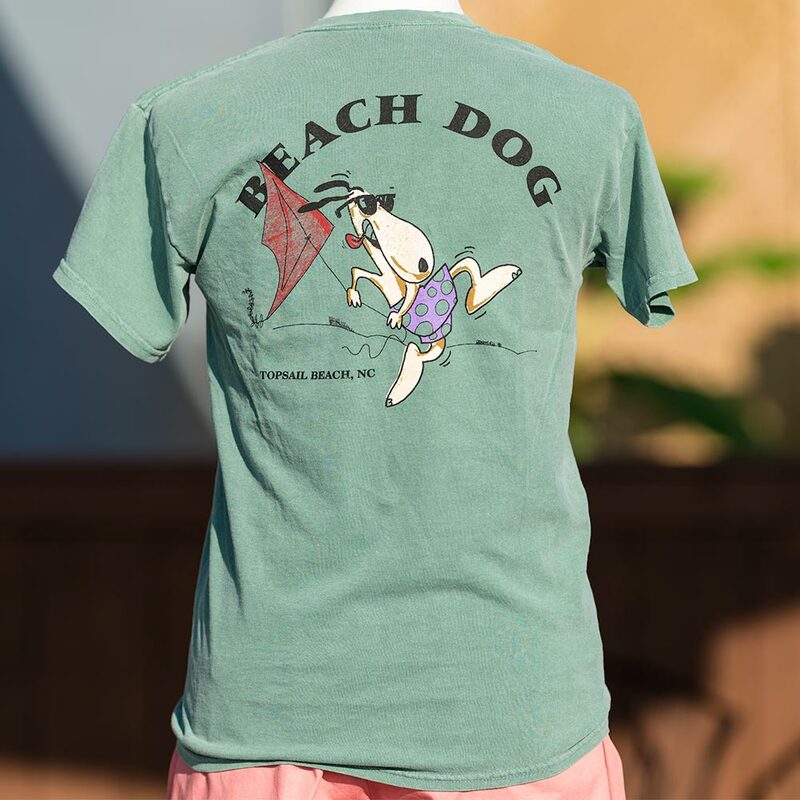 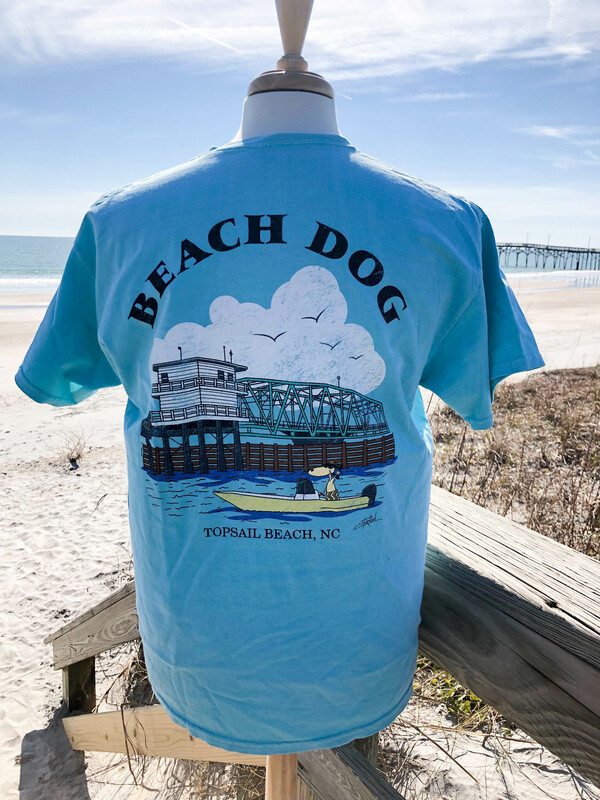 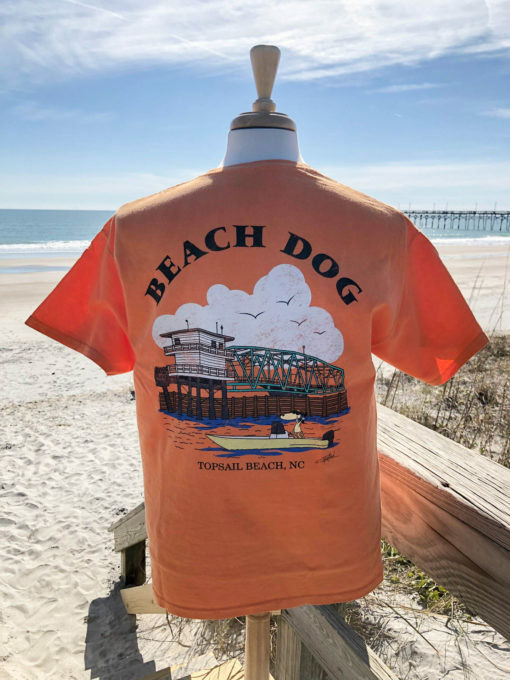 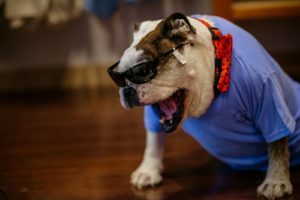 BEACH DOG is the unofficial mascot of the Beach Shop & Grill. 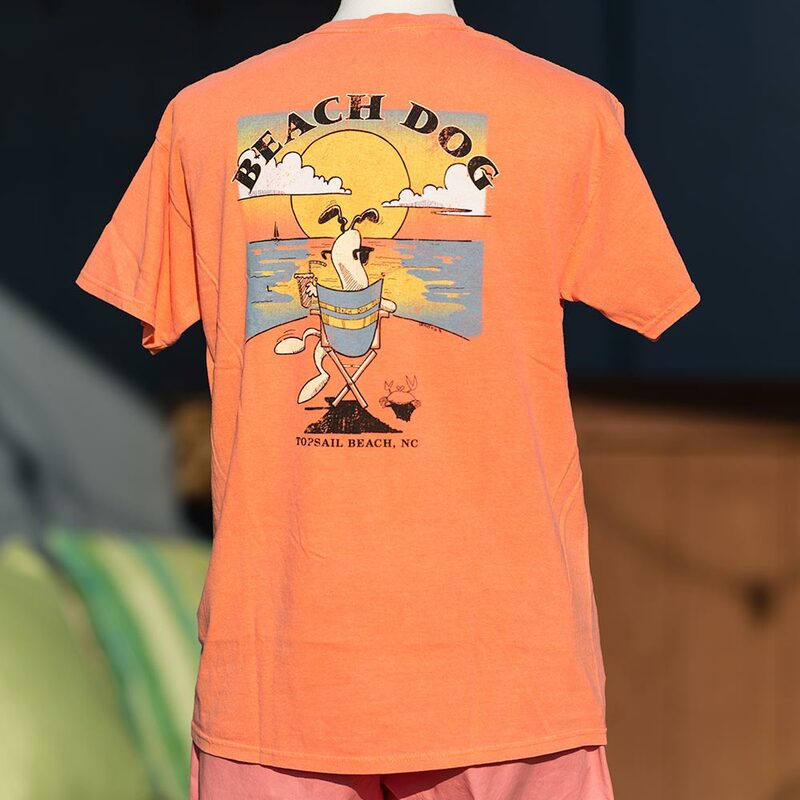 On this t-shirt, a happy BEACH DOG is enjoying ice cream on the beach! 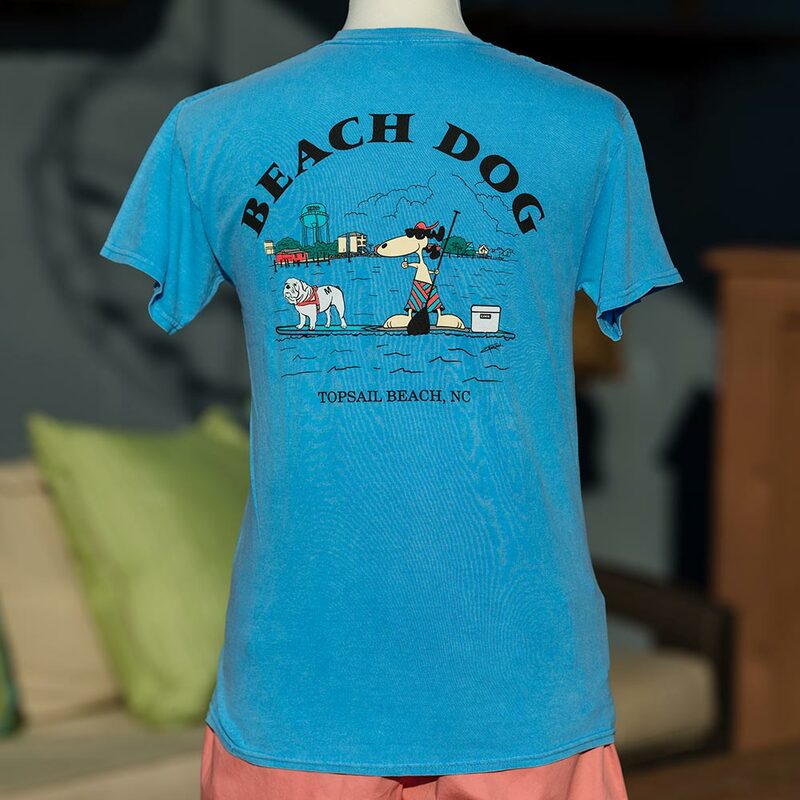 Available in several amazing colors.